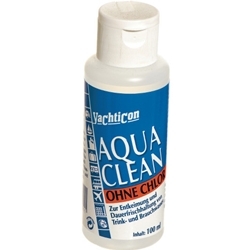 Aqua Clean contains no chlorine. This water additive purifies and conserves drinking and potable water for up to six months. Aqua Clean has no odor or taste and is simple to use.